Roasting vegetables seems to be my favorite way to prepare them… and small wonder. Low maintenance, quick, crispy, and perfectly caramelized. This is a recipe my mom came up with, and now I just can’t eat cauliflower any other way. Well, that and the fact that paprika is one of the very precious few seasonings I can still eat (woot!). I swear I heard angels singing when I found out I could have paprika, basil, oregano and vanilla beans. I would probably just evaporate if I could no longer use vanilla! Ok, here is the recipe. 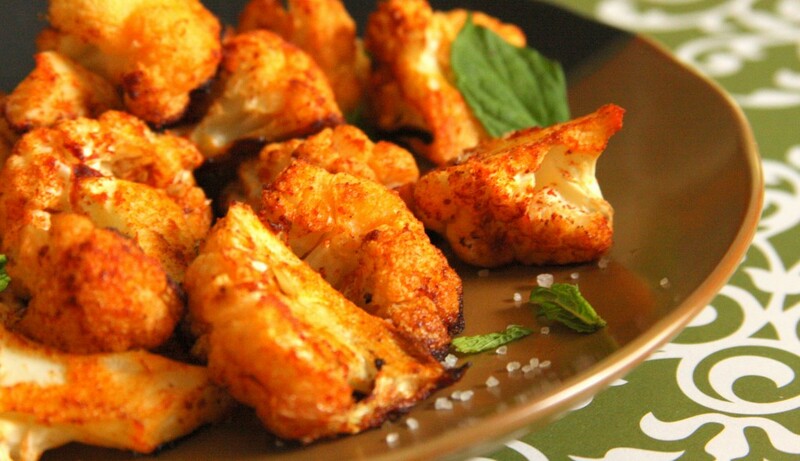 You’ll find that the smokey paprika adds a wonderful dimension to the slightly cripsly but stil crunchy cauliflower. Its just delicious. 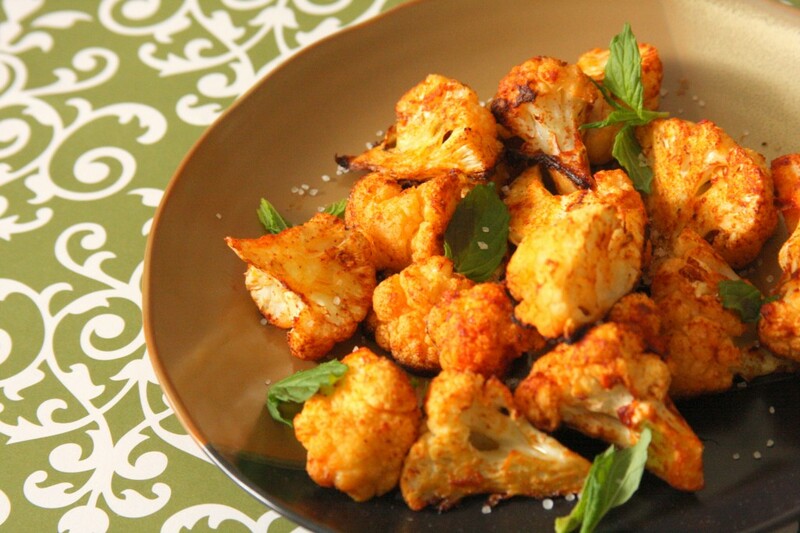 Toss the cauliflower, olive oil and paprika together on a cookie sheet. Roast at 350 for 15-20 min or ntil cooked the way you like it. Gluten Free, Dairy Free, Egg Free, Soy Free, Sugar Free, Corn Free, Gum Free, and Preservative Free. Omnivore Real Food, from scratch, for everyone.